For the last couple of years we've had family seasonal bucket lists, these worked really well and made us 'focus' on seasonal things to do. We really liked this format at usually managed to achieve them, now T is getting older, I want him to be more involved in choosing our family activities. Last year we joined in with the Wildlife Trusts, 30 Days Wild, I never got round to documenting what we did, which was a real shame, but T liked it so much, I thought we'd concentrate our family bucket list this year on more outdoors adventures, learning new skills and getting closer to wildlife. Back in February (yes, I was totally unprepared for this!) we all sat down and came up with a list of things we wanted to do this year. Some didn't make the cut, swimming with sharks (!?!) abseiling down a tree (!?!) and building a fire in the woods (!?!) to name a few of T's suggestions. We managed to whittle our list down to 52. Some of these we've already done now, some we have planned and some I have no idea if or when we'll achieve but you know what? We'll have a blooming good go and lots of fun along the way! If we don't tick off everything, then that's fine but if we do, that's amazing!!! 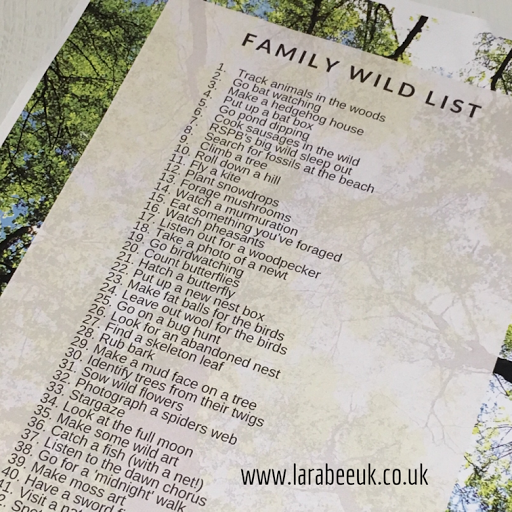 If you are looking for ideas to get out and about as a family our family wild list can be downloaded here. 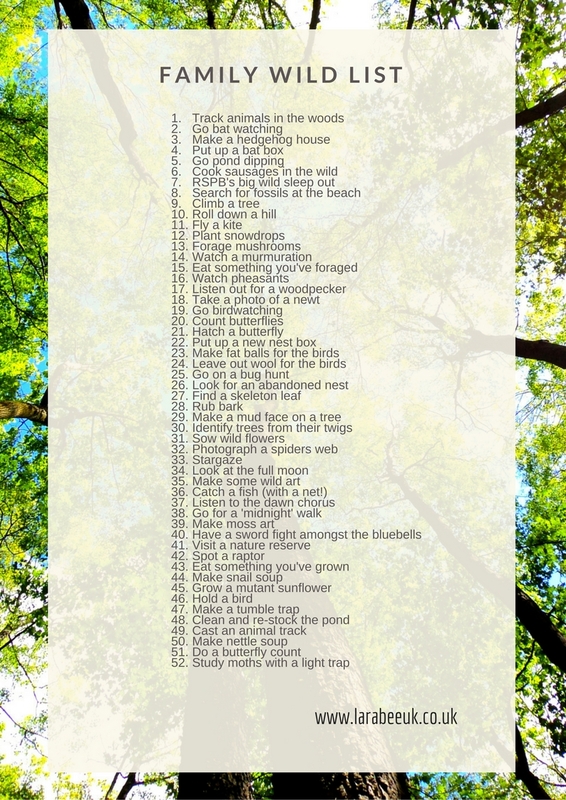 I'll be using #lbukwildlist when I share photo's on social media and periodically I'll be writing the odd post to let you know how we're getting on. If you use our list, please do tag us in so we too can see what you are doing. What's on your wild list this year?